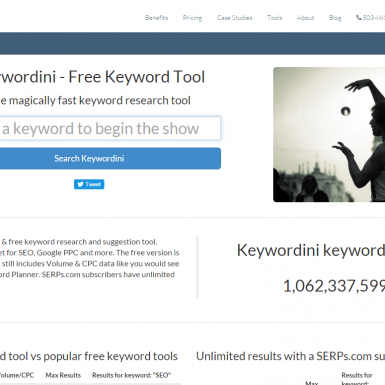 Keywordini: SERPs’ awesome free keyword tool that provides volume, CPC and keyword value metrics! 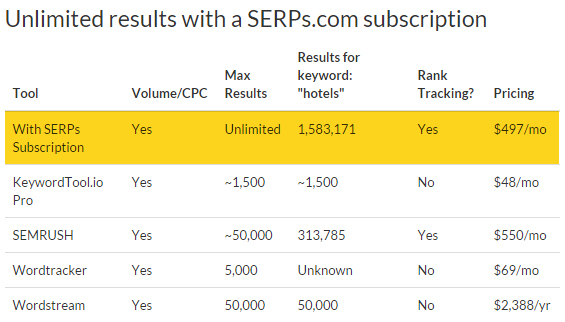 SERPs’ Keywordini keyword research and suggestion tool is just magic. 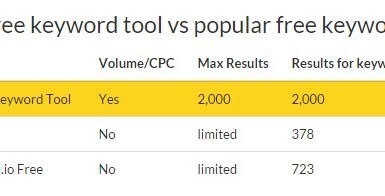 While other similar tools (like KeywordTool.io and Ubersuggest) do not provide volume/CPC/value data, Keywordini gives you them for free! Just like in Google’s Adwords Keyword Planner. 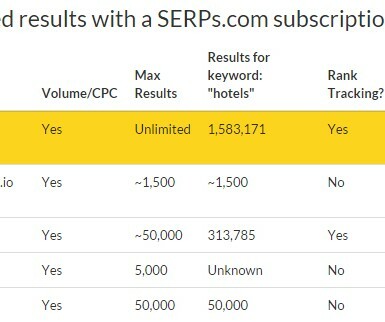 On top of that, Keywordini offers 2-5 times more keyword suggestions than it’s competitors. The tool is also fast, has a clean and clear interface. 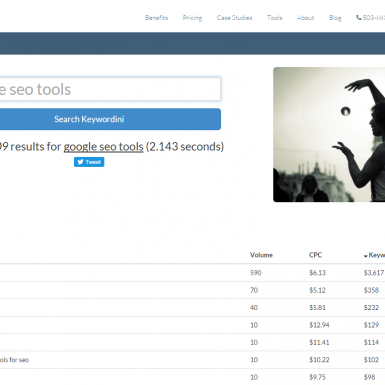 Probably the best free tool for keyword research for SEO, Google PPC, etc. Provides volume, CPC and value metrics in free version!